The recent killing of five Bengali Hindus in Upper Assam must be seen in context of a resurgent wave of ethno-nationalism in the state. On 1 November, not long after sundown, a nondescript group of men dressed in military fatigues and armed with AK-47s ambled into the Bengali-dominated village of Bisonimukh-Kherbari in northeastern Assam’s Tinsukia district, summoned six men at random, and led them to the nearby riverbank before gunning them down at close range, execution style, right in the shadows of India’s longest bridge. One of them miraculously survived by lunging forward on to some low-lying land nearby. The other five died on the spot. Although Assam is long familiar with mindless violence of the obscure, terrorising kind (read: the 1990s secret killings), this was a peculiar killing that came after almost a decade of relative calm — that too at a time when Assam’s multicultural, multi-religious society is faced with unprecedented divisions from within. The fact that the killers cherry-picked six Bengali Hindus gives the brutal murder an unsettling and ominous connotation. In many ways, it is a jarring throwback to the dark days of majoritarian ethno-nationalist violence in Assam that threatened to tear the pluralistic Assamese fabric apart. In today’s context of renewed tensions, it stands as a sickening act that mirrors the bad, and forebodes the worst. What really makes the brutal murder so alarming? 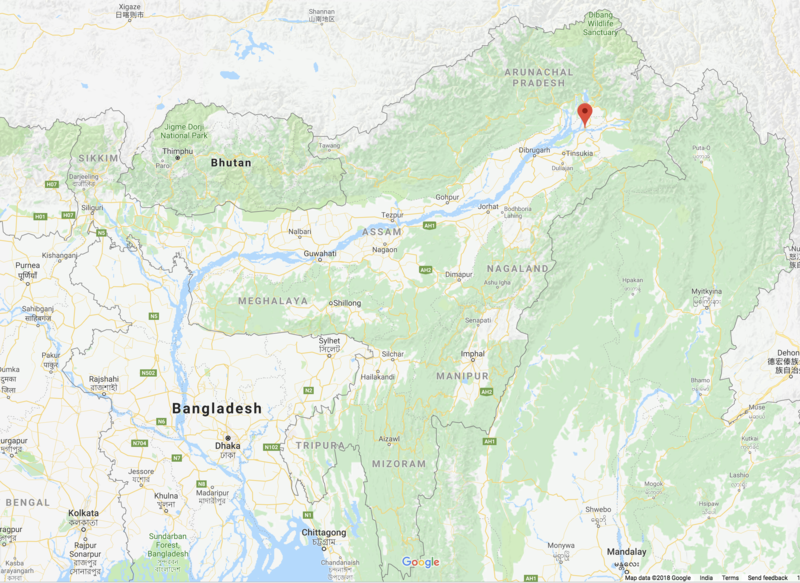 Assam Police has attributed the killing to the United Liberation Front of Asom (Independent) or ULFA-I, the Assamese nationalist-separatist outfit led by its long-time commander-in-chief Paresh Baruah. Senior Guwahati-based journalist and close ULFA watcher, Rajeev Bhattacharyya explained the state police’s attribution in two separate Firstpost reports (here and here), even identifying the cadres involved in the killing as Gyan Asom, Bubul Moran, Dimbeswar Moran, Jasinta Moran and Justin Doley. But Baruah’s outfit — based out of western Myanmar’s Sagaing division since the original ULFA split into two distinct factions (pro-talks and anti-talks) in 2011 — has categorically denied responsibility for the killing. In the past, it wasn’t uncommon for the undivided ULFA to distance itself from particularly violent acts committed by its rank-and-file. What is, however, expressly odd is that the banned outfit had claimed responsibility for a low-intensity bomb blast in Guwahati only last month — the first attack by Baruah’s boys on a major city in Assam in a very long time. The blast, according to ULFA-I’s letter, was a warning to Bengali Hindu groups who have rallied in support of the Citizenship Amendment Bill 2016 — a legislation proposed by the Bharatiya Janata Party (BJP) that intends to regularise Hindu immigrants from Bangladesh, Pakistan, and Afghanistan in India. But even in its heydays, the undivided ULFA rarely targeted Bengalis. It mostly went after Hindi-speaking internal migrants from ‘mainland India’ whom it deemed as ‘outsiders’ in Assam. Contrary to popular belief, for the senior rebel leadership, Assam’s prime enemies were not Bangladeshi immigrants, but ‘colonial-minded’ mainland Indians. “Bengalis were not in the line of fire since the group’s leaders had taken refuge in Bangladesh where some camps were also established. This is the first episode where the target seemed to have been innocent victims only because they hailed from the community of Bengali Hindus,” says Bhattacharyya. Hence, if the attribution for the latest incident is true, the killing indicates a sinister shift in ULFA’s ethno-political frame of violence. But in context of renewed ethno-political tensions in Assam, it could mean much more. Over the past one year, Assam has been undergoing a mini-census of sorts to identify ‘genuine Indian citizens’ and consequently sieve out ‘illegal immigrants’ from neighbouring Bangladesh. This $12 billion exercise to update what is known as the ‘National Register of Citizens’ (NRC) was mandated by India’s Supreme Court in 2014, vindicating a decades-long demand by Assamese nationalist groups to identify and expel the so-called bidexis (foreigners). In a strictly legal sense, as laid down in the Assam Accord of 1985, bidexis are those who came to Assam from erstwhile East Bengal on or after 25 March 1971 — the cut-off date that the NRC follows to confirm the citizenship of Assam’s resident populace. At the outset, the NRC looks like a straightforward headcount exercise. But in a deeply divided demography like Assam’s, enumeration can be tricky. This is even more so when layers of clashing historical perceptions about land, language, and opportunities underpin the composite demography. The most decisive of the identitarian splits that characterise Assam’s strife-torn colonial history was between the Assamese-speaking groups in the Brahmaputra Valley and the Bengalis who migrated to Assam Province proper after Lord Curzon unified erstwhile East Bengal and Assam as part of the 1905 Bengal Partition. Curzon’s divisive territorial unification, which suddenly rendered the Assamese-speakers a demographic minority in their own homeland, ended up pitting the Assamese Hindu elite against their Bengali counterpart, particularly on account of the latter’s rising dominance over white collar jobs in the colonial administration. On the other hand, Bengali Muslim migrants, most of who worked in the farms, remained out of the Assamese crosshairs, thanks to their relatively unattractive professions. With the final partitioning of East Bengal and Assam in 1947 and the transfer of Bengali-dominated Sylhet to East Pakistan (now Bangladesh), the Assamese-speaking elite began to tighten its grip over the state’s political, economic, social, and cultural landscape, thus gradually pushing the Bengali Hindus to the margins. But to the misfortune of the Assamese nationalists, the 1947 partition was immediately followed by a large-scale migration of Bengalis (both Hindus and Muslims, but mostly Hindus) from East Pakistan to Assam, thus sharpening the cultural anxieties of the dominant Assamese elite. The next few decades saw a steady escalation of the Bengali-Assamese tussle for cultural and political agency. The Bengali Muslims, however, eventually assimilated themselves into the secular Assamese ethnic fabric through linguistic cross-identification in the 1951 census. This also ramped up the number of Assamese speakers in Assam, further subduing Bengali interests. Enter the Hindu supremacist Rashtriya Swayamsevak Sangh (RSS). During the tumultuous days of the Assam Movement (1979-85), which was in many ways the expression of decades of majoritarian Assamese frustration against East Bengali immigration, the RSS infused an overtly religious component into Assamese ethno-nationalism through covert links with local cultural and political groups, like the All Assam Students’ Union (AASU). Bengali Muslims suddenly became the prime target of the overwhelming anti-foreigner drive. The 1983 Nellie Massacre that led to the brutal slaughtering of more than 2,500 Bengali Muslims in central Assam by members of the Lalung tribe and Assamese Hindus evince this disruptive intervention by Hindutva forces. Although unexplored in large parts, there is more than one set of evidence that indicate that RSS had a less-than-subtle role to play in inciting the massacre. What is, however, clear is that RSS’ communal maneuverings only produced a bitter concoction of linguistic, religious, ethnic tensions searing through an already stretched conflict situation. More importantly, it laid the foundations for the Bharatiya Janata Party (BJP)’s communal policy agendas that it would paradrop in Assam thirty years later. In 2016, the BJP, which had just ousted the Congress to form a government in Assam, introduced the Citizenship Amendment Bill (CAB). If it becomes law, the CAB would essentially permanently settle all Hindu immigrants from Bangladesh in Assam. To Assamese-speaking groups who see all post-1971 Bangladeshi migrants as bidexis, that is downright unacceptable. Hence, while the NRC coheres with the core demand of Assamese-speaking groups, the CAB does not. This is precisely where Assamese nationalism locks horns with Hindutva nationalism, which sees Hindu immigrants as rightful citizens of India and Muslims of the same stock as ghuspetiyas (‘infiltrators’). Assamese nationalism, which is predominantly based on ethno-linguistic lines rather than religious, does not identify with the RSS-BJP’s patent Hindu-Muslim binary. Conversely, Bengali Hindu groups — particularly in the southern Assam’s Barak Valley — have been vehemently supporting the CAB to protect their own interests, and also ensure that Bengali Hindus are not deported to Bangladesh by virtue of the NRC. Ultimately, the Assamese Hindu-Bengali Hindu chasm that had largely dissipated by the early 1980s has come back with a loud and rude bang, courtesy of both the NRC and the CAB.Hence, over the past one year, the Assamese groups have grown increasingly disillusioned with the BJP’s political vision for Assam. They have come to believe that the BJP, by means of the NRC, has plans to permanently settle the Bengali Hindu migrants from Bangladesh in Assam. Unsurprisingly, this is also what the ULFA-I asserted in its missive to the local press after the Guwahati bomb blast last month. Against this background, ULFA-I seems to have found a fresh political opportunity structure to fiddle with. In the past few days, disparate reports of new recruits from Assam trekking their way to its camps in western Myanmar have appeared in the media. For Paresh Baruah — who found safe haven in Khaleda Zia’s Bangladesh when the Indian Army came after ULFA (undivided) in the early 1990s — slaughtering a few Bengali Hindus serves as a double-edged sword: it inflames anti-Bengali, majoritarian Assamese sentiments to shore up recruitment; and at the same time, placates the fundamentalists in Bangladesh who are aligned to Khaleda Zia’s Bangladesh Nationalist Party (BNP) and are alleged to be close to Islamists in Pakistan’s deep state. What is also notable is the renewed political hyper-assertions by ULFA’s pro-talks faction led by former rebel leaders like Mrinal Hazarika, Anup Chetia (who was extradited from Bangladesh in 2015), and Jiten Dutta. One day after the Tinsukia killings, Hazarika and Dutta were detained for making inflammatory remarks earlier in October: both had allegedly warned that continued support for the CAB by Bengali Hindus could lead to “massacre-like situations of 1983” — an unmistakable reference to the Nellie Massacre. Clearly, the resurgent fissures have given a new lease of life to the retired rebel leaders in their perennial attempts to stay relevant in Assam’s politics. Now that they do not command any political agency within the establishment in Dhaka, they can freely go about ramping up anti-Bengali sentiments in Assam to gain traction locally. But herein lies a dangerous threshold: if the anti-CAB sentiments end up pushing the pro-talks ULFA closer to Baruah’s anti-talks faction, that is bad news for the people of Assam who are all too familiar with insurgent violence spiralling out of control. This is even more so because the pro-talks faction now appears closer than ever to a permanent negotiated settlement with the Indian government. In parallel, certain communally-minded Bengali Hindu groups — encouraged by the RSS-BJP foot soldiers — too have been making inflammatory remarks about Bengali Muslim migrants, besides supporting the ‘anti-Assamese’ CAB. While their space to subvert Assamese groups — who represent the majoritarian political strand — remain limited, they have not shied away from openly dissing Bengali Muslims. For instance, BJP parliamentarian from Hojai, Shiladitya Dev, who has emerged as the prime cheerleader of this Islamophobic Bengali Hindu brigade, has even flagged the Bengali Muslims as ‘jihadists.’ Thanks to communally vested political actors like Dev, Assam’s politics stands polarised like never before. As if ethno-nationalist majoritarianism wasn’t enough, Assam’s boiling cauldron now swings heavy with whole new ingredients of communal hatred, division, and marginalisation. Several commentators had foreseen the inevitable clash of pan-Indian Hindutva nationalism and Assamese ethno-linguistic nationalism even before the BJP swept the polls. Even Paresh Baruah’s rebirth was somewhat predicted by those familiar with Assam’s volatile politics. Yet, one wonders if anyone seeks a return to the dark, blood-spattered days of constant terror and anxiety, particularly when a totalising security regime under the Armed Forces Special Powers Act (AFSPA) remains active throughout the state. The Tinsukia killings – despicable in its manner and foreboding in its tone – must stand as a warning into what could be a devastating and wholly avoidable reboot to chaos. Angshuman Choudhury is a Senior Researcher at the Institute of Peace and Conflict Studies, New Delhi. He was born and brought up in Assam. Featured image: Google Maps pin location showing the spot of the 1 November killings of five Bengali men.